The Portland bedroom range is styled in such a way that it can compliment both contemporary and more traditional rooms. The contrasting solid Malaysian oak chunky top and the stone white finish gives a very modern and sophisticated two tone look. There are two storage drawers that feature ergonomic satin finish metal knobs and pull out very smoothly on the runners. The bedside tables are enhanched by the four small angled feet and the scotia beading trim in oak to the top and white to the bottom. Тhe Portland Oak bedside table is supplied fully assembled. The item is heavy, please be careful when lifting and moving around your bedroom. 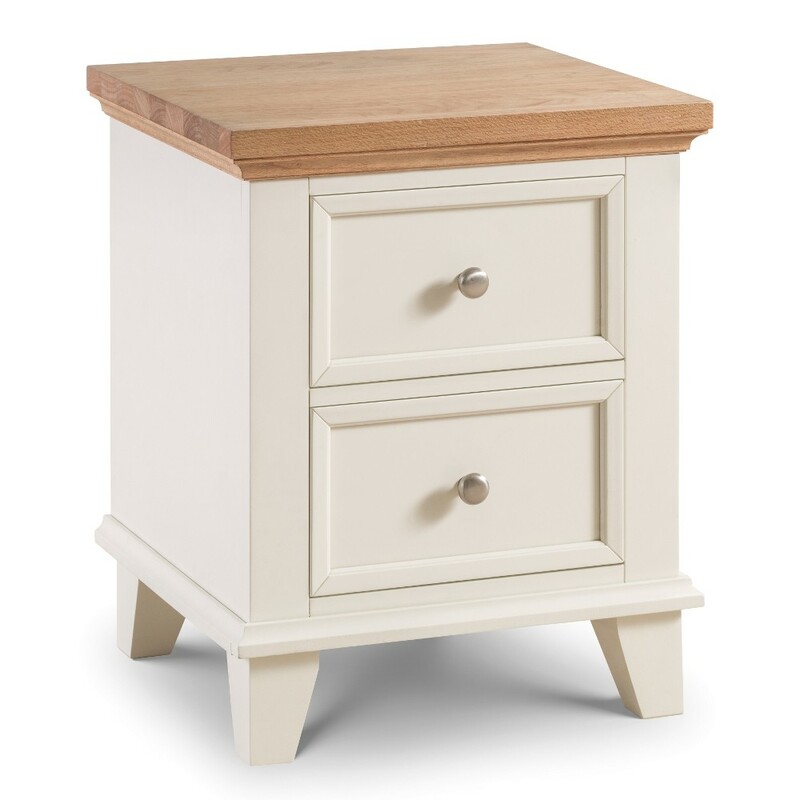 This item is part of the Portland Stone White and Oak Wooden Bedroom Furniture Collection.